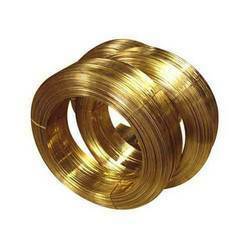 Our organization holds immense expertise in manufacturing, supplying and exporting a qualitative range of Brass Wires. The offered range includes Brass, Tombac and Zari Wires. These wires are manufactured as per the defined industry standards using superior quality raw materials. These brass wires are also thoroughly checked on defined industry standards, to ensure that flawless range is offered to the customers. Leveraging on our wide distribution network, we are able to deliver these to the respective destinations within the specified time period. Saru Precision Wires are the manufacturer and exporter of a wide range of wires, which can be used in diverse industries. These are available under technical features and can be customized as per the requirement of the industry usage. We offer our products at very effective prices. Saru Precision Wires is a principal supplier to various industries like Automobiles, Electrical & Switchgear, Meters, Pumps & Motor Industry, Air Conditioning & Refrigeration, Cutting Tools, Machine Tools, Dies & Moulds, Pressed tools & Plastic Moulding Industries. 60/40 Brass 59 - 61 Bal - - - - - 0.40 (Max. Brass Wire For Zipper -Relying on our deft team of professionals, we have been engrossed in offering a wide range of Brass Zipper Wires that is widely used in zip manufacturing industries. Due to our expertise in this domain, we are manufacturing, exporting and supplying an extreme quality range of Brass Piano Wire. Widely acclaimed among our clients for their high quality and durability. 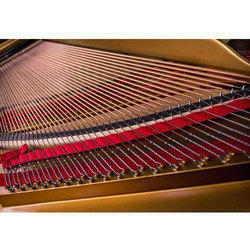 The provided piano wire is manufactured using optimum quality raw materials and sophisticated technology. We manufacture this product with the help of our most skilled professionals in adherence to industrial quality guidelines. 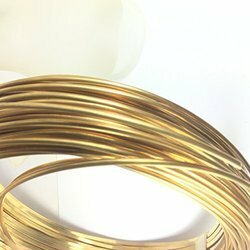 Our range of Brass Wire For Brass Welding Wire has gained appreciation from the clients due to its abrasion & corrosion resistance, higher strength, and lower electrical conductivity. Capitalizing on the adeptness of our experienced workforce, we are involved in manufacturing, exporting and supplying an extensive gamut of Brass Wire For Spring in Meerut, Uttar Pradesh, India. These wires manufactured by utilizing supreme quality raw materials and are examined at every stage of fabrication before finally getting dispatched. 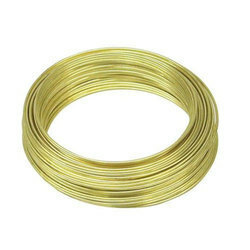 Moreover, these Brass Wire For Spring is obtainable at pocket-friendly rates. 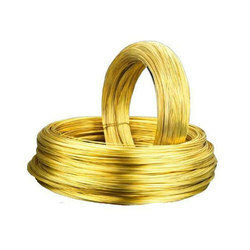 We take immense pleasure to introduce ourselves as a trusted manufacturer and supplier of Brass Wires For Stitching Wire. These wires are extensively used in printing and packaging industry. 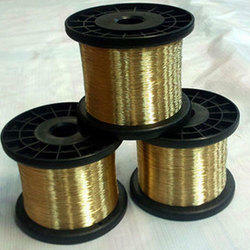 To process these wires, we use finest quality brass, sourced from trusted vendors of the market. These wires do not contain mild steel, which gives you total relief from the rusting factor. 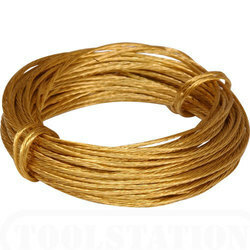 Brass Wires For Stitching Wire give you the better look due to its bright yellow color. We offer these wires at affordable prices. We are offering Brass Wires For Clamping Pins Our Client. Having a positive quality management system, we are captivated in manufacturing, exporting and supplying a wide compilation of Saru Brass Wires For Hooks. Appreciated for their durability, offered hook wires are highly demanded amid our esteemed patrons. Supreme quality materials and cutting-edge technology are used to manufacture this product. 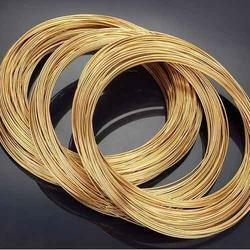 With passionate devotion and effort to our team of skilled professionals, we are involved in manufacturing, exporting and supplying a supreme quality range of Brass Wire For Metal Powder in Meerut, Uttar Pradesh, India. 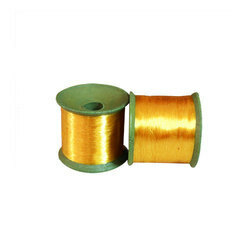 Our offered brass wires are precisely manufactured by making use of cutting-edge technology. Our professional utilize premium quality materials which are sourced from the authentic and trusted vendor of the market in the manufacturing of this product. 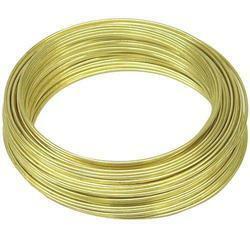 Moreover, we are offering these Brass Wire For Metal Powder to our most valued patrons at leading market rates. 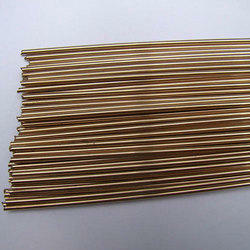 Brass Wire For Brushes provided by us are made using high-quality Brass. They are used to make bristles of brushes. 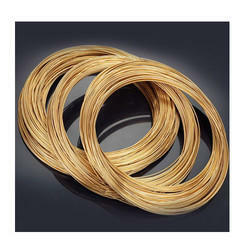 We are offering Brass Gilding Wires to our client. 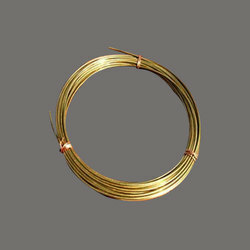 We are offering Brass Wire For Jewellery to our client. We are offering Brass Wire For Rivets to our client. 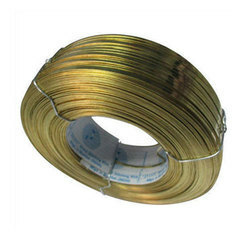 We are offering Brass Wire For Welding Electrodes our Client. 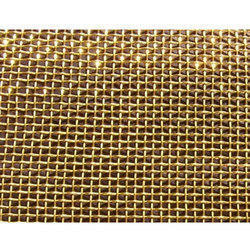 We are offering Brass Wire For Wire Mesh to our client. We are offering Brass Zari Wires to our client. We are offering Jewellery Brass Wire to our client. Looking for Brass Wires ?